No matter how popular a social network or service is, there can still come a time when users choose to close their account and move onto greener pastures. Twitch may not provide users who wish to do so with an option to completely delete their data but they do allow for the disabling of accounts, which is the next best thing. Disabling of a Twitch account essentially removes it from the public Twitch service. Users can no longer log into it and it will no longer be discoverable in searches or by direct visits. Important information can be manually changed or deleted by the user before they disable the account so even though their Twitch profile isn't completely deleted from the Twitch database, all of the personal information can be. Here's what you need to know. Disabling your Twitch account is very straightforward and can be done in a matter of minutes. Login to your Twitch account on the main Twitch website. Click on the drop-down menu in the top-right corner and select Settings. Scroll down to the bottom of the Settings page and you should see a section called, Disable Your Twitch Account. Click on Disable Account. On the Disable Account page, enter your account password and any feedback you wish to share with Twitch about your decision to leave. This second part is optional. Click the purple Disable Account button. Your account will now be disabled. Disabling a Twitch account can be done very quickly but before you do so, there are some things you should do first. Inform Your Followers or Anyone You Are Hosting: If you're a Twitch streamer and you're planning on disabling your account, it's a good idea to inform your viewers in a broadcast in the days leading up to the big day. Make sure to mention when your last broadcast will be and also refer your followers to your other social accounts such as Twitter, Instagram, and Facebook so that they can stay in touch with you. If you're switching to another streaming site like Mixer or YouTube, ask your viewers to follow or subscribe to those new accounts. 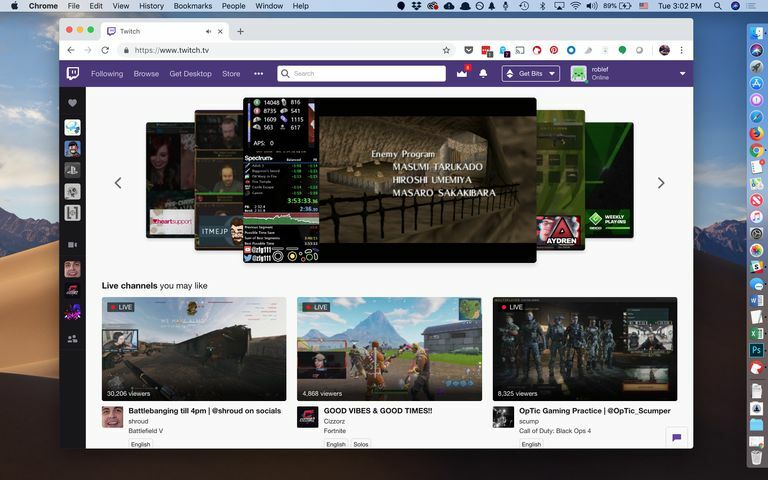 Disconnect Your Other Accounts: One of the cool things about Twitch is how it can connect to other social networks like Twitter and Facebook and additional gaming services such as Xbox, Steam, and Battle.net. It's highly recommended to break the connection to all of these third-party services before disabling your Twitch account so that you can connect them to any new accounts you create in the future. To disconnect these services, simply navigate to your Settings page and click on the Connections tab. This will take you to a list of connected services which you can disconnect by clicking on the green tick next to their names. Delete Personal Information: Because Twitch doesn't fully delete your account, it's a good idea to go into your account Settings (via the drop-down menu in the top-right corner) and remove any important information that you want to protect such as your real name and bio information. It's also recommended to view your Channel (from the same menu) and remove all of your custom widgets and links to the various donation services that you may have added. There isn't a way to manually enable a disabled Twitch account however it can be done by emailing Twitch Support via the form on this page. Support will usually reply to requests within seven days. While completely disabling a Twitch account can appear a little extreme, there are several legitimate reasons why some users choose to do so instead of just not logging in anymore. Here are three of the more common ones. Quitting Twitch: Some users simply decide to stop using Twitch. This can be due to a loss of interest in streaming altogether or even motivated by a shift to a rival streaming service such as YouTube or Mixer. Multiple Twitch Accounts: Some Twitch users may have created different channels for different audiences (e.g. one for streaming Super Mario Bros video games and another for artwork creation) and now wish to focus on one or consolidate the two. Too Many Social Accounts: In addition to potentially having more than one Twitch channel, many users can feel that they're using too many social networks in general and may want to cut back. We've all had friends who dramatically announce their departure from Facebook. The same thing happens on other social networks like Twitch as well. It may be tempting to disable your Twitch account but there are also several things to consider before doing so. Changing a Twitch Username is Possible: If you're disabling your account just to create a new one with a better username, remember that you don't have to do this. It's possible to change your current Twitch account username simply by going to Settings and clicking on the edit option next to the Username field. Reserving Your Brand Name: Even if you're not currently using your Twitch channel, it can be a good idea to keep it online so your fans from other social networks can follow you. This may not be immediately useful but it will be in the future when you eventually do begin broadcasting. Having an official Twitch channel that's online will also prevent users from being tricked by potential spam or fake accounts claiming to be you or your company. You Can Still Use Your Account to Watch Streams: Don't forget that you don't need to be streaming on Twitch to be using your account. Plenty of users simply watch other streams and use their accounts to follow, subscribe, and communicate with other channels. Free Stuff! If you pay for a monthly Amazon Prime subscription then you also have a free Twitch Prime membership for your Twitch account. This premium service gives you several perks, one of which is free digital content for select video game titles. If you disable your Twitch account, you won't be able to take advantage of Twitch Prime.